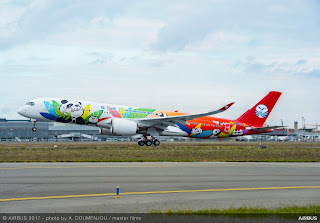 Sichuan Airlines has taken delivery of its first A350-900 at a special ceremony in Toulouse today. The airline already operates the largest all-Airbus fleet in China and is leasing the new A350 from AerCap. It has become the first Chinese mainland operator via leasing to take delivery of this type of new aircraft. Sichuan Airlines has configured its new A350-900 with 28 business class seats and 303 in the economy cabin making a total of 331. The jet is powered by Rolls-Royce Trent XWB engines which are supremely fuel efficient and offer a lower noise footprint than many other engines of its type. 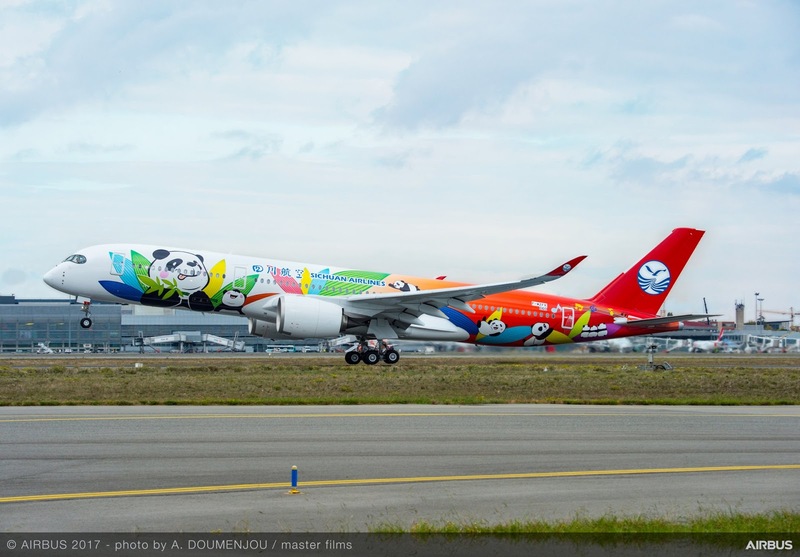 The carrier says it will initially deploy the new aircraft on its domestic routes, it will then be used on its international “Panda Routes”. Sichuan Airlines has a long history with the European manufacturer, dating back to 1995 when the airline introduced the A320, becoming the first to operate an Airbus fly-by-wire aircraft on the Chinese mainland. The carrier now has a fleet of 136 Airbus aircraft, made up of 123 A320 Family aircraft, 12 A330 Family aircraft and this new A350-900. The airline has another nine of the XWB aircraft on order.